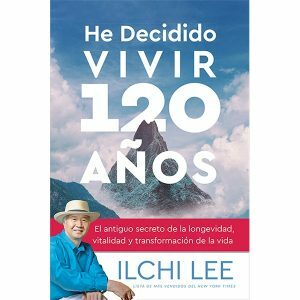 This book is also offered in a Spanish version so more people can experience the sense of enlightenment and freedom it can provide. 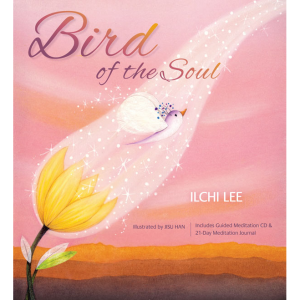 This book will speak to everyone who would like their soul to be as free as a bird. 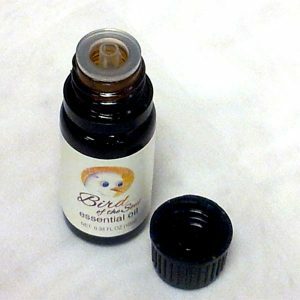 To free it, begin listening to your inner voice. This audio presentation of Brain Wave Vibration provides profound insights into the nature of human happiness and fulfillment. 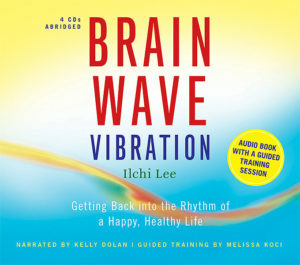 More than a physical training technique, Brain Wave Vibration is a call to action, a plea to uncover the vast abilities that lie within your brain. 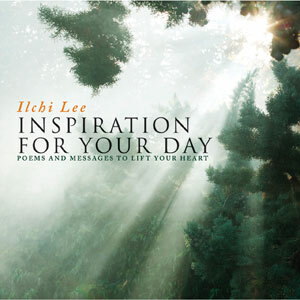 This CD contains a message for every week of the year. 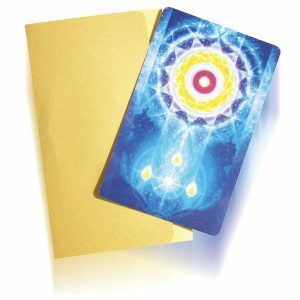 They’re meant to enlighten you and help you understand the interconnectedness of all things and people. 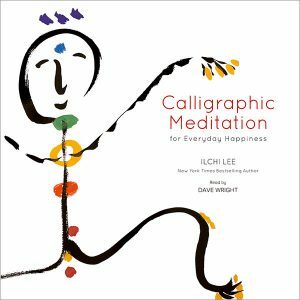 Let the 52 pieces of calligraphy in this book speak to your soul. 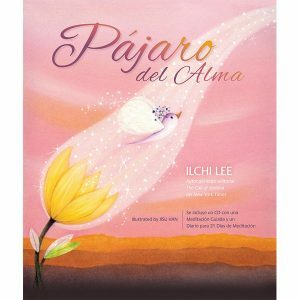 With full-color illustrations throughout the book, the beauty and inspirational messages will open your heart. 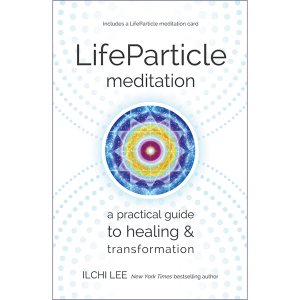 This mini-edition book packs away easily for trips or car rides when you need a little inspiration and calming images while you’re on the go. 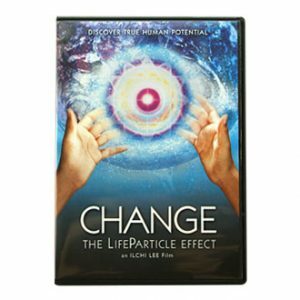 This educational film presents an enlightening new perspective that reveals your creative potential and empowers you with an invincible hope for yourself and the world. 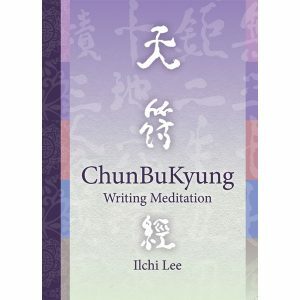 This kit will allow you to fully immerse yourself in meditating with the ChunBuKyung. 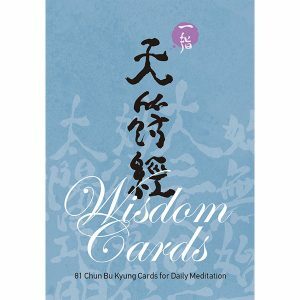 Feel the wisdom of this ancient Asian scripture of 81 characters. 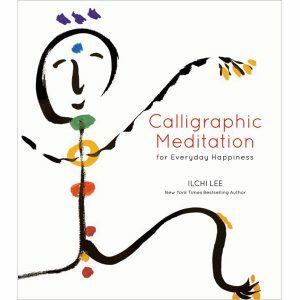 Writing something repeatedly while pondering its meaning can lead to deep insights. 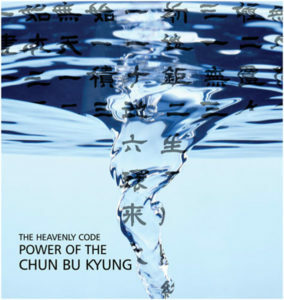 This book will help you grasp the 81 characters of the ChunBuKyung, a 9,000-year-old script. 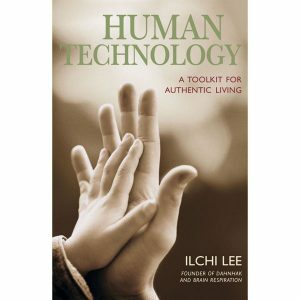 A dialogue that gives answers to today’s pressing issues based on Korea’s Hongik tradition of empathy. 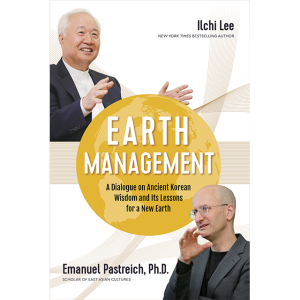 A paperback by Ilchi Lee and Dr. Emanuel Pastreich. This decorative fabric wall hanging can be used as more than just eye candy. 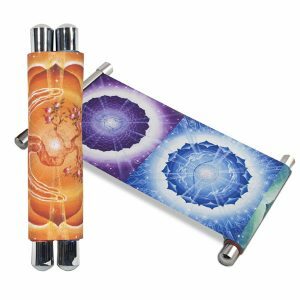 It’s a powerful meditation tool for healing and balancing all seven chakras. 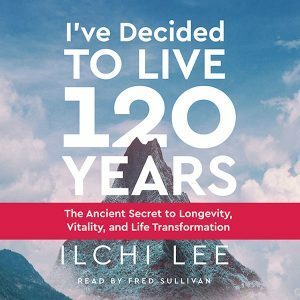 Turn your daily commute into a life-changing trip by listening to this audiobook that teaches you how to make the second half of your life unbelievably great. 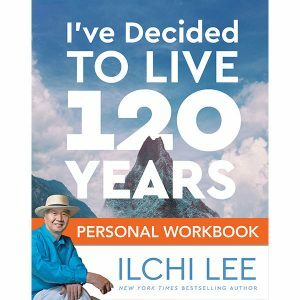 The companion piece to the Ilchi Lee book, this guide will help you get closer to the happy, fulfilling, long life you’ve always dreamed about. 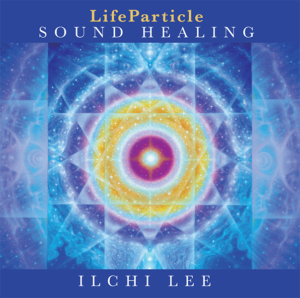 The sound of Ilchi Lee’s voice chanting ancient texts will purify your energy and help you connect to your highest self. 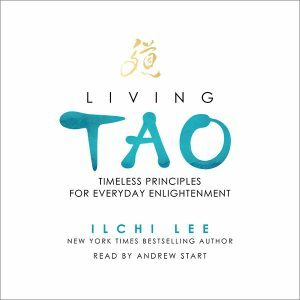 This audio CD features 12 lessons from ancient Taoist beliefs that don’t feel outdated because they still apply to today’s world. 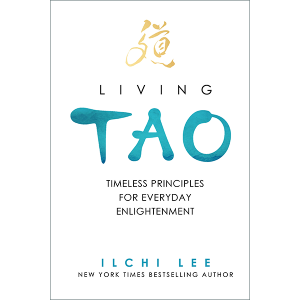 Author Ilchi Lee, a Tao master from South Korea, will help you comprehend Tao, its power, and the role it can play in your life. 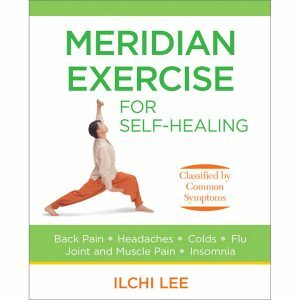 Magnetic force is a powerful tool on our planet, and it can be within our bodies too. 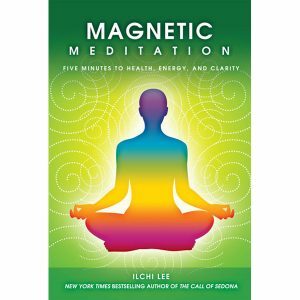 By using magnets, your meditation experiences will never be the same. Sometimes truly loving ourselves is the hardest thing to do. Six guided nature meditations will help you learn to show yourself the same consideration you’d show others. Nothing quite awakens the soul and fills the heart like nature. 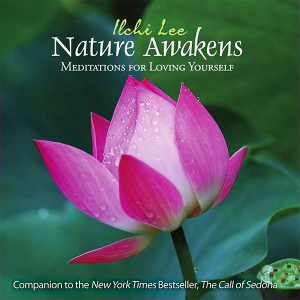 This CD gives you six guided nature meditations that stir your heart. 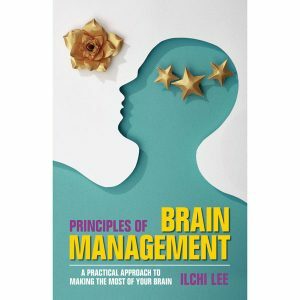 With five simple steps, you can train your brain to improve your life. 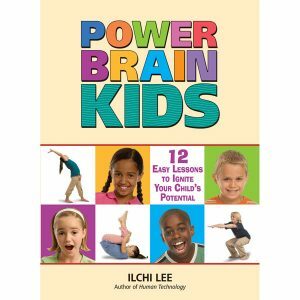 This book helps you work out your brain, just as you would any other muscle. 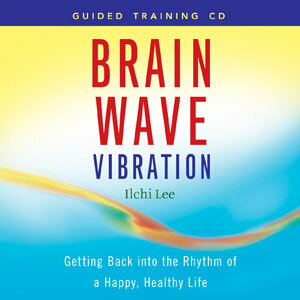 For those who prefer guided training rather than reading about a subject, these tracks, which can be downloaded as a whole or individually, will help you conquer stress. 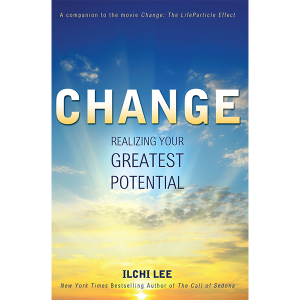 Do you want change in your life, but you’re not sure how to get it? 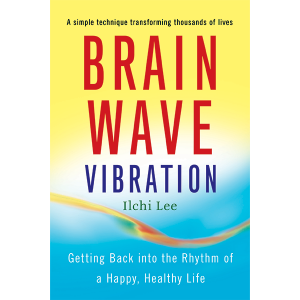 Let this book help navigate you toward the path you’ve imagined for your life. 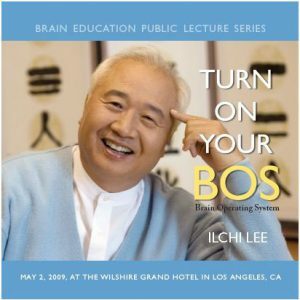 The five steps of the Brain Education System Training are available as a download to help you find your center, happiness, and good health. 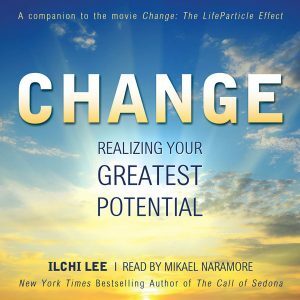 This audio book will bring about positive change in your life if you’re willing to imagine yourself as a part of the bigger picture, instead of a separate entity. 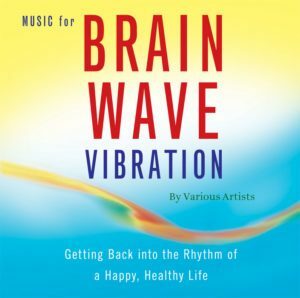 In just one hour, find your inner tranquility and say goodbye to tension by stretching, relaxing, meditating, and practicing brain wave vibrations. 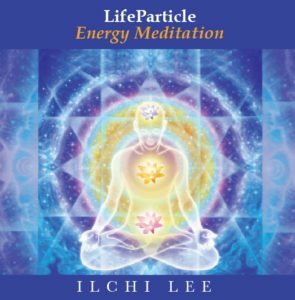 Based on the principles in a 9,000-year-old sacred scripture, this book comes with a chakra meditation audio CD that will energize and activate your seven chakras. 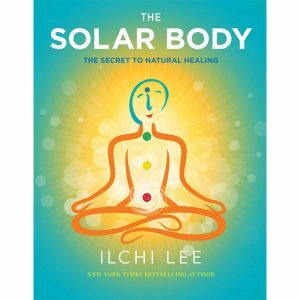 The inspirational messages and practical techniques in this book will unleash the healing power of our world. 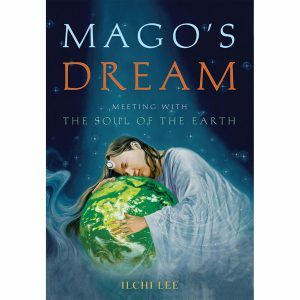 Meet Mago, the Soul of Mother Earth, and feel the connection. Let nature be your guide, and let the trees, wind, earth, sun, water, and rain heal your mind, body, spirit, and soul. While we may all have our differences, we all need the Earth. 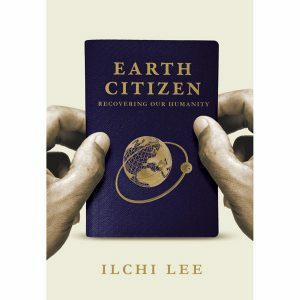 By addressing that commonality, this book can show us how to sustain the planet and each other. 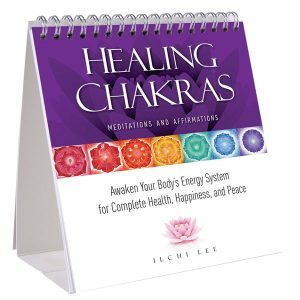 This guide will help you focus on your chakras and their overall health. 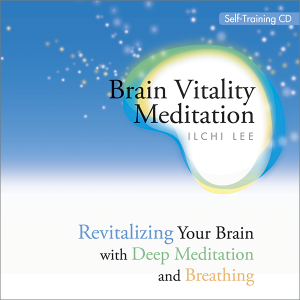 With easy-to-follow meditation exercises, you can focus on a chakra every day of the week. With its targeted visualization techniques, this meditation book can help you improve your relationships, health, help society, and go through a self-transformation. Everything can be jump-started with some daily inspiration. Whether you’re looking to uplift your day or connect with the greater good, this CD is for you. 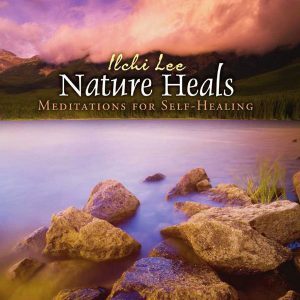 If you’re looking for a metamorphosis, this CD may help by opening your mind, heart, and spirit to how life could and should be. 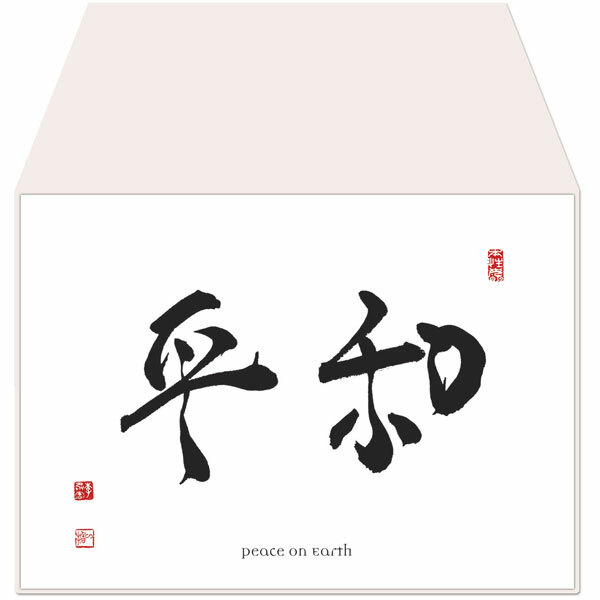 Featuring five sets of Asian characters, these note cards and envelopes will allow you to spread inner peace, contentment, and happiness with anyone you’d like. On days when your heart feels heavy, reach for these inspirational messages to remind you your problems are fleeting and small—you’re part of the bigger picture. 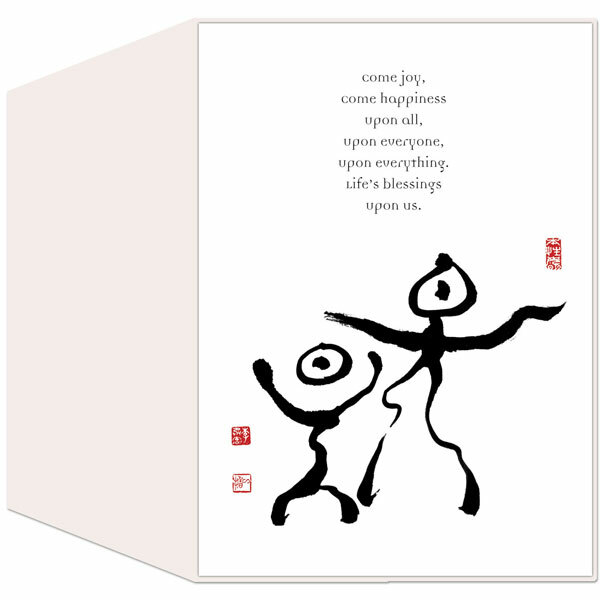 Created by Ilchi Lee during meditation, these five cards contain simple images sure to inspire people with a sense of oneness, fulfillment, and clarity. 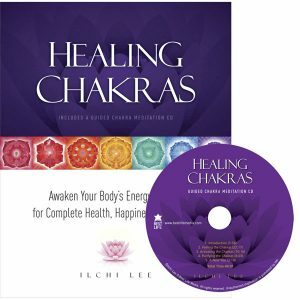 The vibrations of crystal bowls and gongs will help you hone in on your natural healing abilities—we all have that gift deep inside if we unlock it. 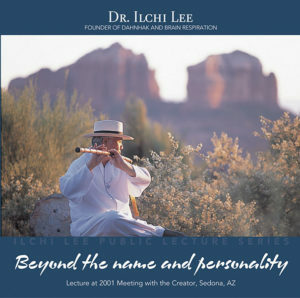 This live lecture focuses on finding the strength and inner fortitude to change your life and the planet by connecting with the true creator inside you. Mother Earth can heal us, even when we don’t take care of her as well as we should. 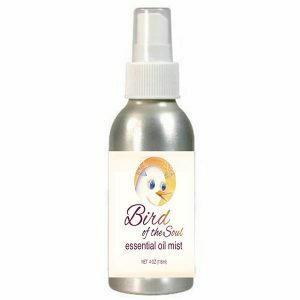 Tune into nature and the elements to channel that power. 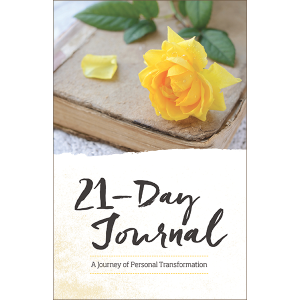 Want to transform your life in 21 days? 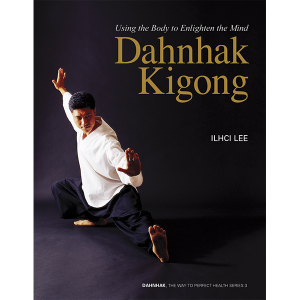 This book will put you on the path to do that. 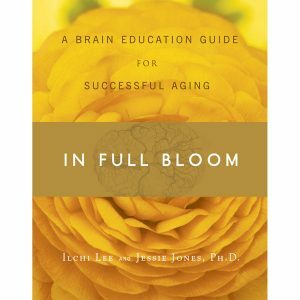 Learn how journaling can shape your thoughts and future. 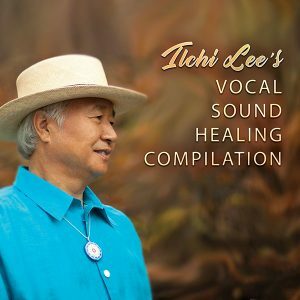 Play this CD of chants either in the morning or at night to help you find inner tranquility, peace, and healing through meditation. 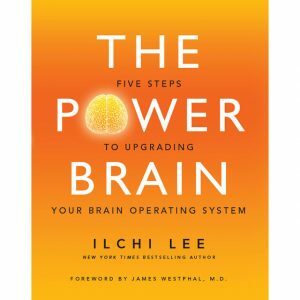 Just like starting up a computer, you need to reboot your brain operating system once in a while to function at your highest capacity. 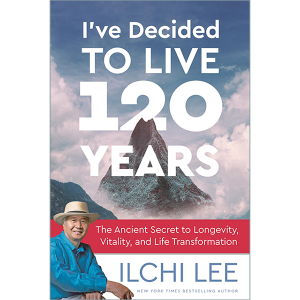 This book teaches something you won’t find in school—easy, but imperative, skills you can use to better your life, health, and well-being. 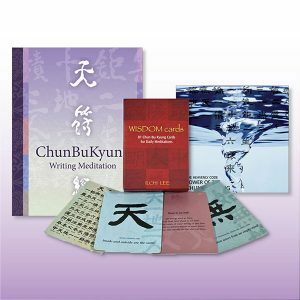 These cards each contain characters from the sacred Korean text, the Chun Bu Kyung, as well as words of wisdom from Ilchi Lee that will inspire you. 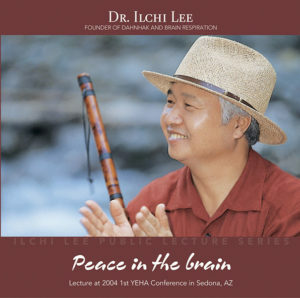 In this lecture, Ilchi Lee is the keynote speaker at the Young Earth Human Alliance Conference at the Sedona Mago Retreat Center in 2004. 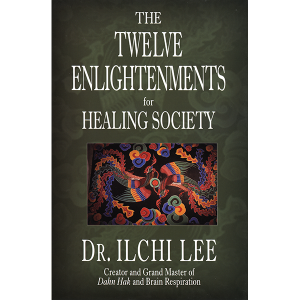 Become an enlightened activist with the tips you’ll learn in this book and use that power and insight to help and heal humanity.